Compared to the rest of the roof, the gutters are just a small part. Poorly installed gutters, however, are one of the major causes of a constantly leaking roof. We give you a closer look at how this happens and how you can prevent it. Properly installed gutters never follow the roof’s edge. Rather, it’s slightly angled towards the downspouts to ensure continuous flow and avoid standing water. 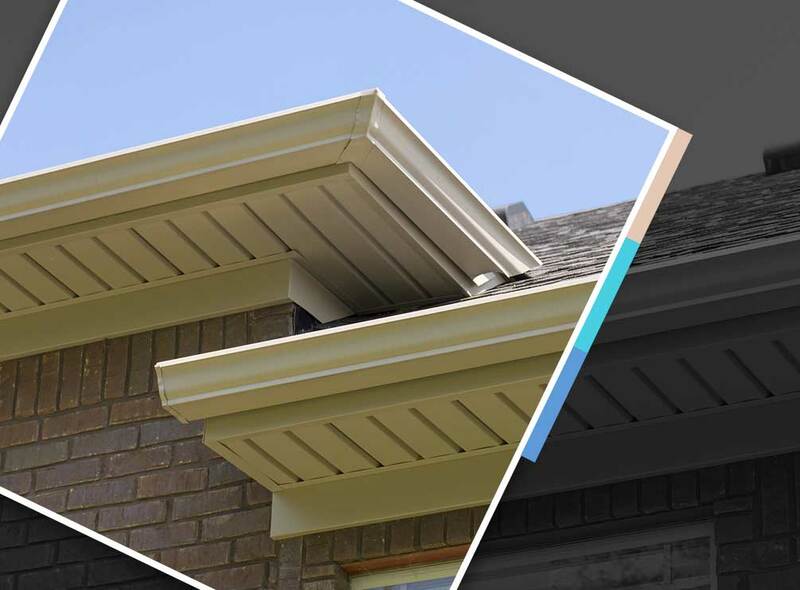 Perfectly flat gutters (or worse, angled the other way) would allow water to collect in certain areas. In case of heavy rainfall, this can be critical as it would allow rainwater to flow back up under the drip edge and/or the first row of shingles, causing leaks. Standing water also adds weight to the gutters, which can put unnecessary strain on the gutter hangers. If the water hangs around, it can also seep under the paint layer and cause blistering and rust, which, if not tended to, can prompt unplanned gutter installation. Freezing water can also put additional strain on the gutters as it expands. While ice dams are usually caused by inefficient attic insulation, incorrectly fastened gutters can contribute to the formation of ice dams. Standing water combined with leaves and debris stuck in the gutters allow refreezing ice to collect much faster at the edge. Once the ice dam is fully formed, it’s only a matter of time before the ice encroaches on the roof’s edge, which, as the weather thaws, infiltrates the roof deck, leading to severe leaks. Plus, the icicles that form under the gutters can be dangerous. If your gutters are exhibiting one or more of these problems, have your gutters inspected while the season is still favorable. If the gutters are still in good condition, but are improperly angled, then getting them fixed wouldn’t take long or cost much. Regular inspections and cleaning as well as scheduled professional maintenance are also important in making sure the gutters are kept in its best condition all year round. Whether you need a new roof, gutters or a skylight, Tedrick’s Roofing can help can do it all. To learn more about our services, call us today at (877) 212-9355 or (253) 499-9660. You can also fill out our contact form to schedule a free estimate. We serve many areas in and near Seattle, WA.